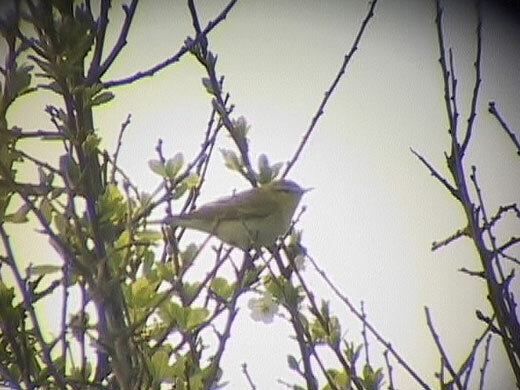 6+ Chiffchaff (1 nr trig point. Most on east end of down, several singing). North winds and heavy cloud with some rain during the previous week have slowed down migration. Nationally there has been just a few stragglers through. Rarities that have come through during the earlier influx have been long stayers suggesting unsuitable weather for migration. 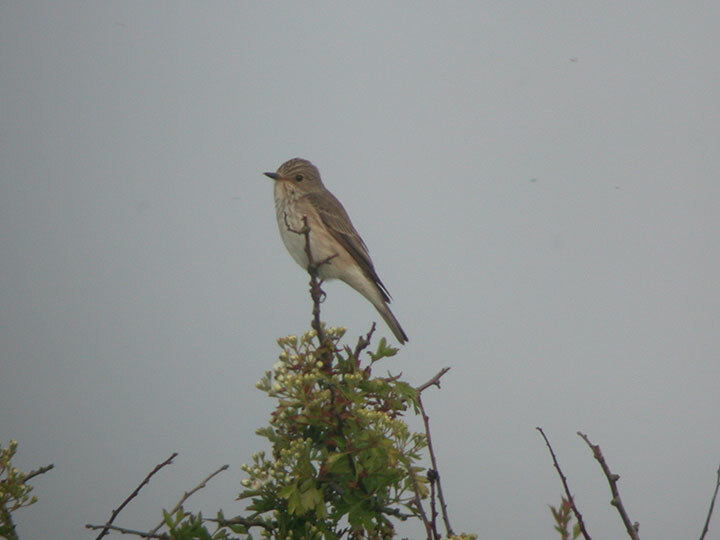 Long stayers have been alpine swift in yorkshire and red rumped swallow in leicestershire. The weather has changed today with the winds changing from northerly to easterly around 14mph and cloud cover reducing to leave clear sky. 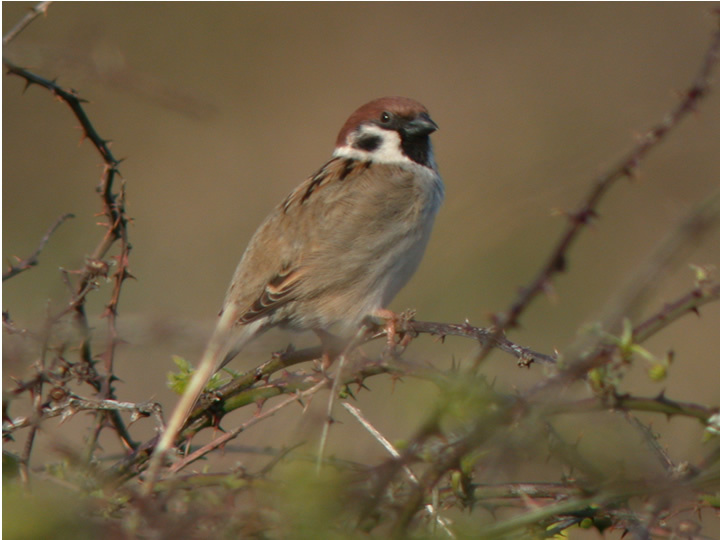 Other migrants included: 3 Goldcrest, c.20 Meadow Pipit, c.15 Chaffinch. Overcast day with a light south easterly wind. 13 Swallows fighting against the westerly wind. Bright morning with light northerly wind. High cloud. high broken cloud with clear visibility and a light westerly wind. 17mph southerly wind with fog reducing visibility to 500 yds. above the fog there was blue sky. Cloudy day with hardly any wind at all. Bright day with broken high cloud. light westerly wind. 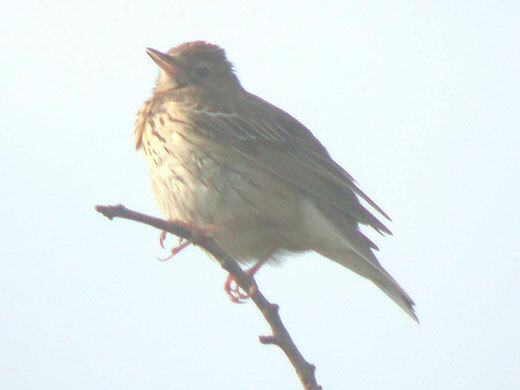 2 Tree Pipit - 1 in off sea from the north nr fort and then flew west and 1 calling over down. Fairly strong southerly wind with 100% cloud cover, mainly high cloud with scattered rain clouds. 3 Siskin together flying high around the fort. flew out west to sea and came back again. 5+ Grasshopper Warblers reeling. All on north side of the down. Clear night becoming cloudy and foggy during the morning with a slight southerly wind. cloudy start to the morning with a southerly wind. by 08:00 the clouds had cleared and the wind had dropped a little. Strong northerly wind with 100% cloud cover both high, and low clouds reducing visibility and some spots of rain. Started off cloudy with mist at dawn brightening up after a couple of hours. light north westerly wind. 2 Wagtail sp west over. 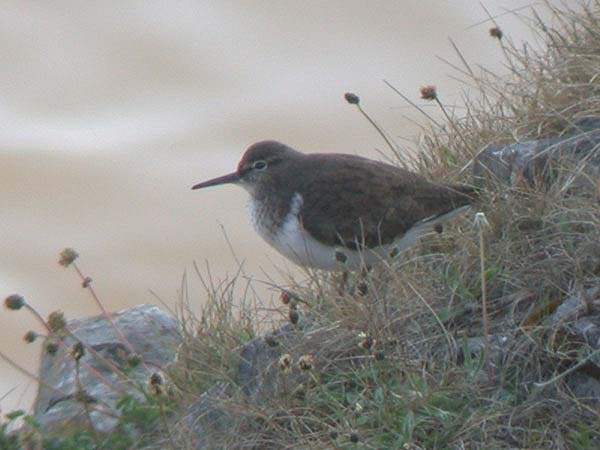 1 had a call very dipper like, similar to citrine wagtail. 60 Dunlin and 25 Ringed Plover on Axe Est (No sign of yesterdays Pectoral Sandpiper). 100% cloud cover with 3/4 mile visibility and a light north easterly wind. 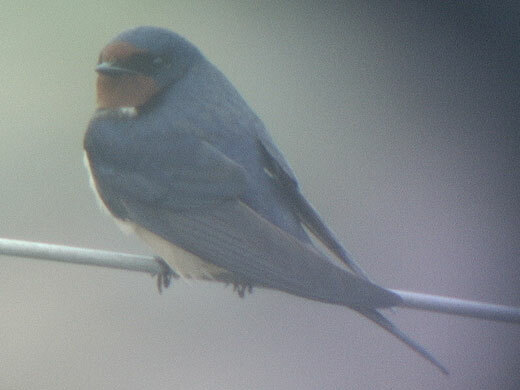 Many hirundines moving over this morning starting with a few very early morning and increasing by 08:30. Nearly all the birds were heading north instead of west and on to Flat Holm. 100% cloud cover with 3 mile visibility. Light westerly wind. 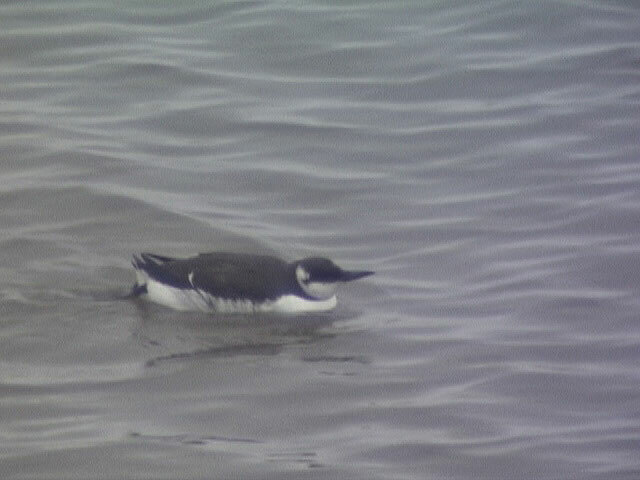 Hardly any visible migration today. 1 Mistle thrush east over top of steps and was seen to land near boat hut on axe est. 1 Fulmar close in, around the east end of the down. Cloudless morning with a light southerly breeze. Sunny day with light northerly breeze. weather stemmed any flow of migration. Patchy cloud with patchy mist. light westerly wind. 1 acrocephalus warbler in nettles at bottom of diaganol track and then flew to gardens adjacent to car park. 100% cloud cover with fog bring visibility down to less than 1 mile. 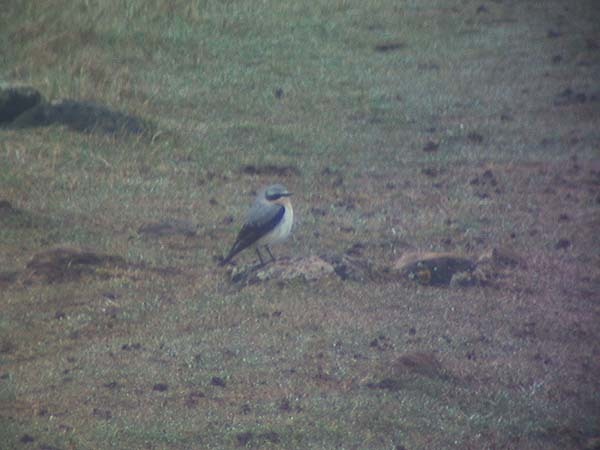 4 Wheatear at the bottom of the steps. 1 Wood Sandpiper flew over south calling at 07:15. Fall of 40 Willow Warbler. All gone by 09:00. 2 Swift lingering over east end of the down. 50% cloud cover with a light southerly wind. 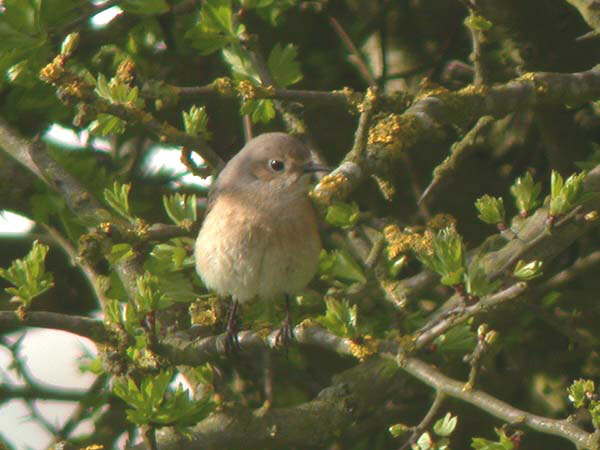 1 Pied Flycatcher at top of the diaganol track until dusk. 80% cloud cover with a light southerly winds and fog around the coast. Winds changed to southerly. Cloud cover increased to 90% but quite thin and high. 20 small waders low west over the fort. At least two were Sanderling. 1 Wryneck half way between bird garden and brean down farm in walled enclosure. Clear night with a full moon. 90% cloud cover with a light south easterly wind. Medium strength westerly winds overnight continued until late morning. Full moon and a clear night all night and a clear morning. Winds dropped to a light westerly. Change of weather over night. Light north winds with low cloud and rain. previous few days weather has been strong south westerly winds changing to westerly with a lot of cloud cover. winds dropped yesterday afternoon turning northerly. clear night, half moon. clear morning with a moderate northerly wind. mainly clear sky with a north easterly wind swinging to easterly by mid morning.